Our POS Bundle connects to your PC to convert it into a virtual credit card terminal and inventory management system. 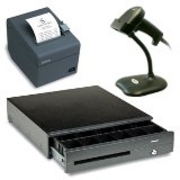 The bundle includes a cash drawer, barcode reader and receipt printer. 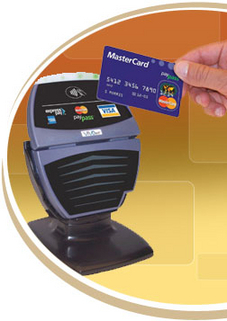 MagTek card readers provide a low cost solution for swiped card transactions using your PC. We carry a wide variety of Point-of-Sale credit card terminals, check readers and imagers, pinpads, card readers, mobile terminals and PC software. Our preferred equipment solution partners include Verifone, Hypercom, WAY, MagTek and RDM. Our countertop credit card terminals capture payment information at the point of sale (POS) and quickly transfer it to the payment network for approval. 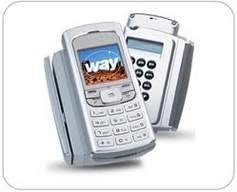 Select a Dial terminal to communicate with the payment network over a traditional analog telephone line. If you have digital phone lines or high speed internet service, choose one of our IP terminals for secure, fast transactions. 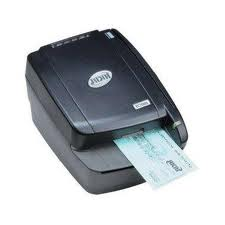 All models accept peripheral equipment, such as PinPads and check readers. 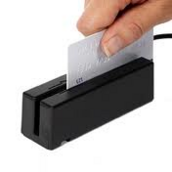 The VivoPay 4500m is both a contactless and magnetic stripe payment device that provides businesses with an integrated acceptance tool for all payment transactions. Customers can tap their contactless cards and key fobs or swipe the magnetic stripe cards to make a payment. VivoPay offers versatile integration with many POS systems. Try contactless today with the support of MasterCard Paypass, Visa Paywave, American Express Expresspay and Discover Zip programs. Our Mobile Card Reader converts your smart phone, iPad, or iPod Touch into a credit card terminal. The card reader encrypts cardholder information so that transactions are securely processed. Capture the customer's signature right on your phone and email a receipt automatically! Our peripheral PIN Pads offer high security payment capability for PIN debit transactions. All of our PIN Pads are compatible with multiple terminal brands. 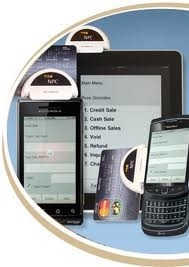 Accept Payment Anytime, Anywhere You Do Business! With wireless credit card processing mobile merchants can run swiped transactions just as in a traditional retail environment. Wireless technology can increase sales, save time, and reduce expenses. Today's wireless terminals are so compact, lightweight and portable that you can carry them in your pocket or even clipped on your belt! These terminals can accept cards wherever you do business, including outside sporting events, trade shows, craft shows and venues that used to be cash only. This can mean additional sales for your business since now a customer can spend more than the amount of cash he has in his pocket. Wireless terminals are also perfect for any merchant who provides a service at the customer's location, such as electricians, plumbers, HVAC technicians, housekeeping services or home health providers. Pizzerias and other restaurants that offer delivery to homes and businesses can also benefit from using wireless credit card processing. Swiping cards through the terminal qualifies you for lower processing rates which can lead to significant savings each month. Since you will be running swiped, card present transactions and you will have a signed receipt from the customer, the risk of chargebacks will be almost eliminated. The Mobilescape 5000, pictured on the left, is a wireless terminal that accepts credit and debit cards plus checks. Swipe in one direction to read the magnetic stripe on a credit or debit card. Swipe in the opposite direction and the terminal reads the MICR information on your customer's check and converts it to an electronic transaction. This is a great terminal for merchants who sell at venues such as trade shows or conventions. Funds from both your credit card and check transactions are electronically deposited into your business bank account. No need to wait until you're back in town to deposit checks in your local bank...with the Mobilescape 5000 electronic check conversion option, the funds from your check sales will likely be in your bank account before your get home! 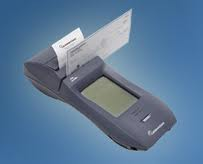 We offer a variety of check readers and imagers to assist you with your check processing needs. Whether you are using a PC or a credit card terminal, we have many peripheral solutions for you. One of our partners, MagTek, is a leader in electronic check transaction technology with MICR check readers. MagTek readers feature reliable technology with a small footprint. Another partner, RDM, offers the latest technology in digital imagers for Check 21/Remote Deposit Capture. The RDM is a plug and play imager that does not require configuration checks. RDM scanners capture the MICR information as well as the check image. PC Charge is a cost effective Windows-based payment processing software solution designed to save businesses time and money by providing powerful features and performance at the point-of-sale. PC Charge is designed for all business types, including traditional retailers, eCommerce businesses, and mail-order/telephone-order sales. It is perfect for merchants who demand more than a stand alone terminal but are not looking for a web-based solution. Use your existing PC to accept and process all forms of payment...credit, debit, check, gift and loyalty. The customizable database stores customer information for direct mail or loyalty programs.